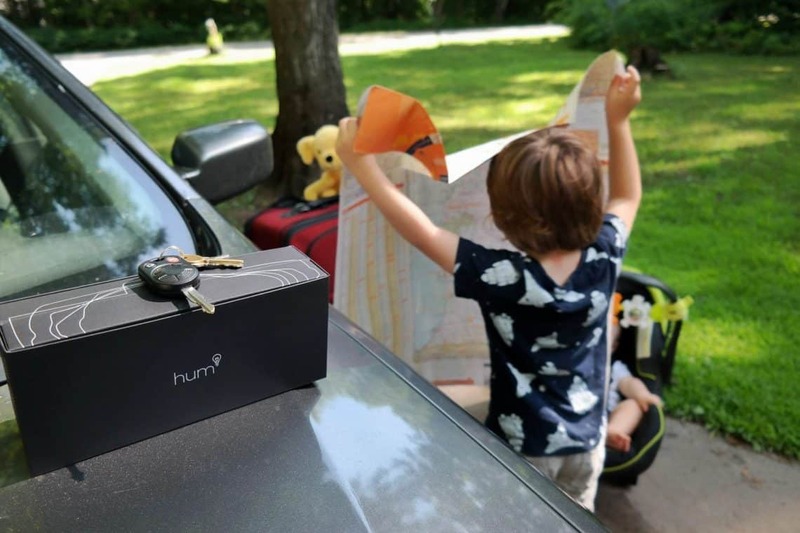 This post is sponsored by Hum by Verizon, my go-to device for safer summer adventures on the road with family. All opinions remain my own. I want to nurture the adventure-loving spirits in my children. This world has a lot to offer, and I want my kids to see the beauty and possibility around every corner. While I cannot always afford to jump on a plane and take them to an exotic locale, I do like to play tourist in our home state. Living in northern Michigan, we are close to countless attractions from waterfalls and the great lakes, to historical sites and shipwrecks. However, all of that amazing beauty comes with a caveat. Many of these incredible attractions are very difficult to reach by car. Northern Michigan is notorious for “seasonal” roads which are essentially two dirt tracks that can be very sandy or muddy, making it easy to get stuck or very, very lost. 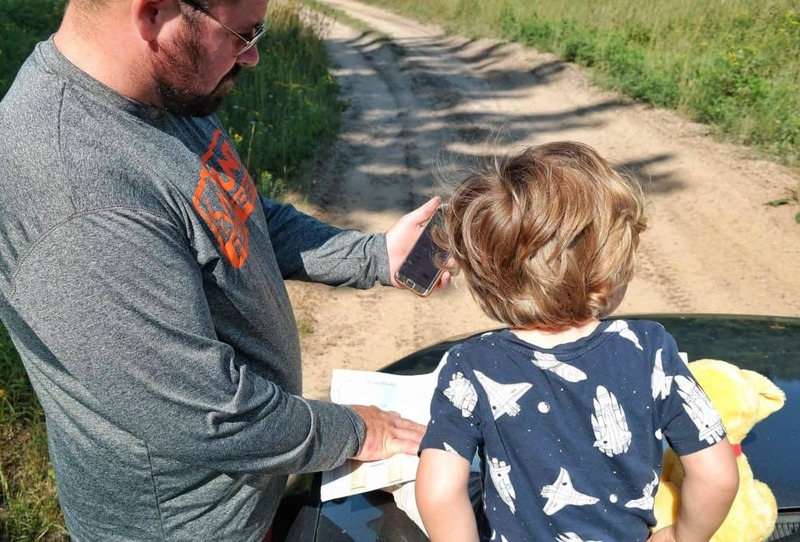 So how do I navigate the wooded backroads of Michigan while keeping my kids occupied and safe? I have just discovered what I consider to be the best driving tool I’ve ever tried, Hum by Verizon. This integrated system for cars is designed to handle just about any problem or challenge people face while out on the road. What is Hum by Verizon*? This connected car technology takes the guesswork out of driving so you can stay in touch with emergency services and your loved ones on the road. I have a HumX, which comes with a speaker to clip to your car’s visor and an OBD reader that connects to your car’s OBD II port. Once plugged in, all you have to do is download the free app to connect your phone to the system and you can conveniently view all diagnostic information collected by the OBD reader. Have an older vehicle? No worries – it is compatible with more than 150 million cars that are 1996 and newer. This system is basically your lifeline while driving. 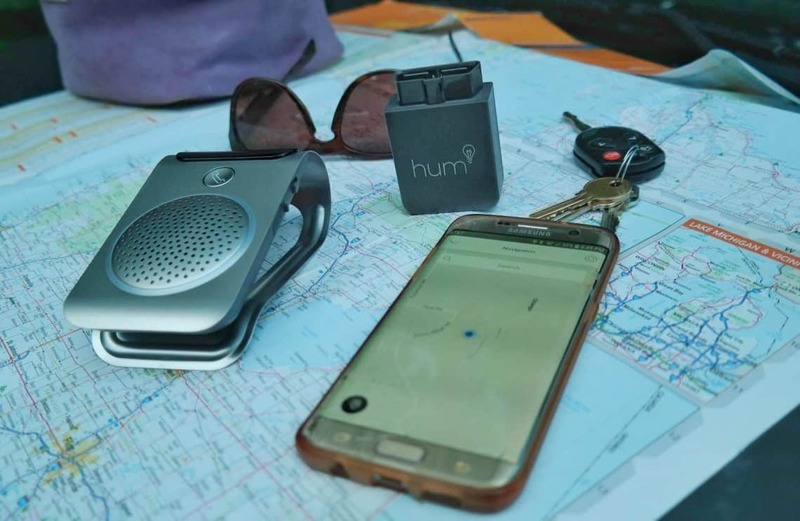 Wi-Fi Hotspot – HumX works as a hotspot in your car allowing up to 10 devices to be connected to the Verizon 4G LTE Network. This has been a lifesaver on our road trips. So, when my kiddos are bored, they can watch a movie, play games, or listen to music. Make Calls – once you connect your phone number to HumX, and sync all of your contacts via the NumberShare feature, you can make calls from the Hum speaker to your three favorite contacts and receive calls from anyone with the press of a button…even if you forget your phone at home! I am forever running around trying to get my kids in the car only to realize a mile away from home that I have forgotten my phone. No worries! I can call right from the speaker. Assistance – one of my biggest fears during road trips is being stranded somewhere, alone with my kids. That is a terribly helpless feeling, but with HumX, I have access to pinpoint roadside assistance, emergency assistance, a mechanics hotline and even stolen car assistance and a vehicle location history. Auto Health – It is hard enough to keep track of my daily schedule, so staying on top of car maintenance falls to the bottom of the list – despite the fact that my car is crucial to getting through my day. With HumX, you can check your car’s diagnostics through the app to see if there are any lurking problems that need to be addressed. It also allows you to set reminders for maintenance. 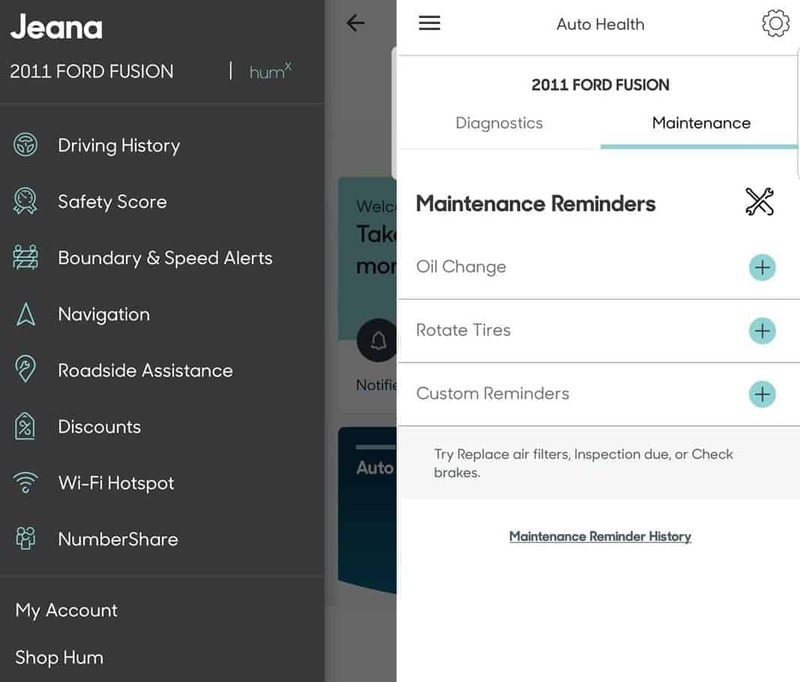 Instead of periodically glancing at the sticker on the windshield to see if you hit the mileage for an oil change, you can set a digital reminder in the Hum app and forget about it. 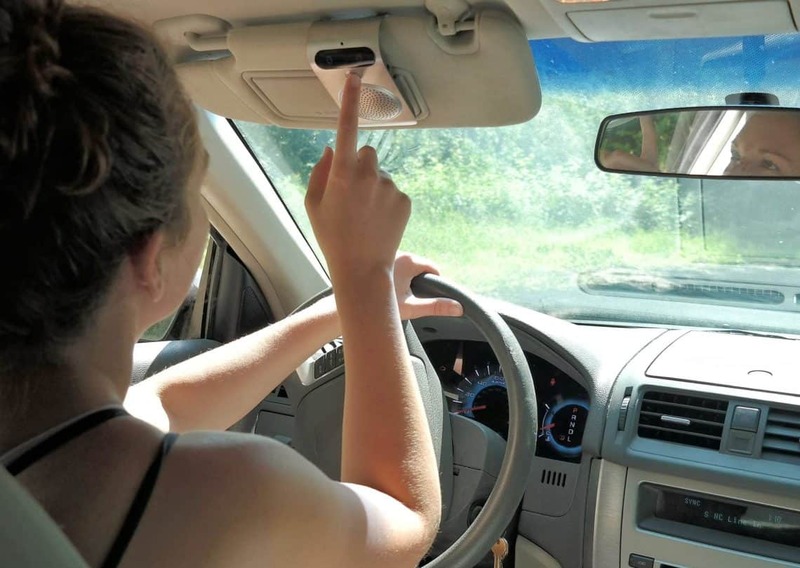 Navigation – As a stay at home mom, many of the road trips I take are just me and the kids. I rely heavily on navigation tools to help me find everything from gas stations to new routes to avoid traffic. The navigation on HumX is everything I need to make it to my destination. And… when my husband does come with us, HumX will help us find our way out of any crazy backroads “shortcut” detours he always seems to conjure up. Hum by Verizon is changing the way I drive and helping to keep my family safer on the road. I love that this integrated system has everything I need to keep my car going and my family happily exploring. I think this is an essential car accessory for parents, and it will change the way you drive once you try it! *Two year subscription may be required, in which case you may cancel the service for any reason within 14 days of activation. Beginning day 15, early cancellation fee of up to $120 for hum+/$175 for humX applies with a two-year subscription. HumX is available via Verizon Wireless only; HumX service operates on 4G LTE network only and requires data usage. Not all products are available in all areas. Pinpoint roadside assistance provided by Signature Motor Club, Inc., up to 4 events per year. 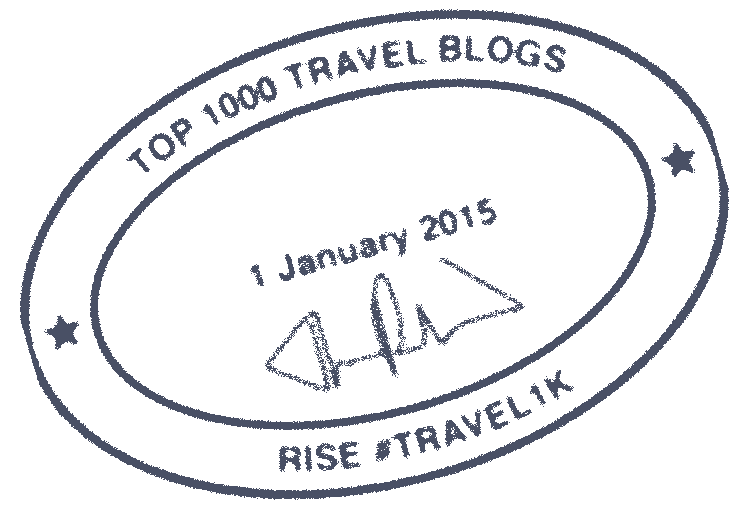 Many services require GPS service and/or network availability, not available in all locations. Not all incidents or problems will be detected. Compatible vehicle model restrictions apply. Automotive discount services not available to everywhere. © 2018 Verizon.